The Law Office of Kathryn J. Synor, LLC is guided by three concepts – integrity, strength and compassion. I am committed to providing the utmost professional, responsive and courteous legal services for each one of my clients. I strive to be YOUR attorney. Whether you need legal help with an adoption or setting up a trust for a special needs child, I will take care of you and your family's needs. I cover several areas in Eastern Missouri including Lincoln County, Pike County, St. Charles County and Warren County. With 10 years of experience and law licenses in both Missouri and New York, I can make sure you get what you need. FAMILY LAW - When adopting, you may be seeking to make a child part of your family or to make a stepparent a legal parent of a child. It can be a joyous occasion and is helped greatly when the pieces are all in order. 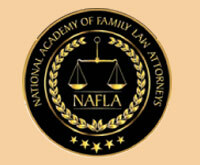 As your Troy, Missouri family law attorney, I can help make sure we are as prepared as we can be heading into court. ESTATE PLANNING - Estate planning brings about a peace of mind that your estate and those you love will be taken care of after you are gone. Whether you need a trusts lawyer or a lawyer to set up power of attorney in Missouri, I can help you out. As your Troy estate planning attorney, I know what considerations need to be taken and what needs to happen to make sure your affairs are in order. COLLECTIONS - If you are facing collections of any type, whether it is from unpaid medical bills, unpaid credit cards or any other type of debt, I can help you. The stress from collection calls and notices can build up. As your collections lawyer, I can help you gain control of what may seem like an out-of-control situation. I am committed to providing my clients with the best professional and responsive legal service. I am passionate about what I do. The high level of customer care my clients receive at my firm is our distinguishing factor. At my office, I strive to be like your family doctor – handling all the legal issues that may arise in your life from adoption to estate planning and everything in between. Contact me today for your initial consultation and let me show you what I can provide for you and your loved ones. The decision to adopt a child can be one of the most rewarding that an individual or couple can make. It can be extraordinarily complex.